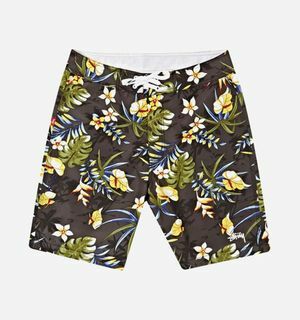 Straight up, no-fuss trunks from ASOS's in-house label, ideal for those who want a clean, easy-to-wear swim short on a budget. 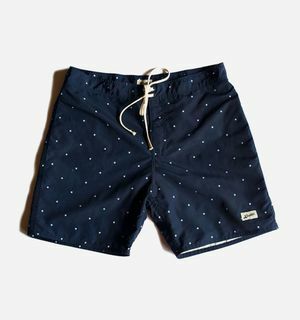 Quick dry, double-lined surf shorts from Canadian brand Bather, comes in a clean allover star print. 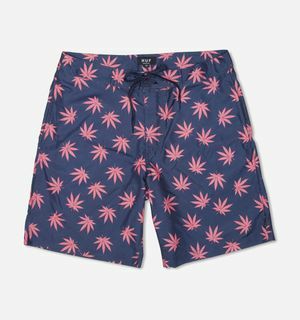 HUF's tongue-in-cheek pop culture "Plantlife" motif has been printed all over these 100% poly boardshorts, with a mesh lining, pockets and drawstring waist. 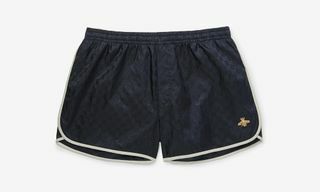 Ostentatious shorts from recently resurrected West Coast label Life's A Beach, featuring a split patterned design. 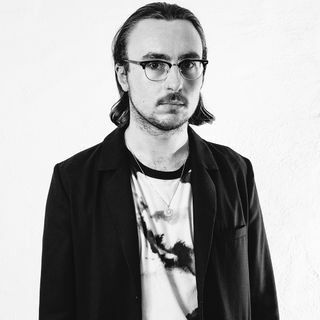 Tasteful yet edgy and rebellious. 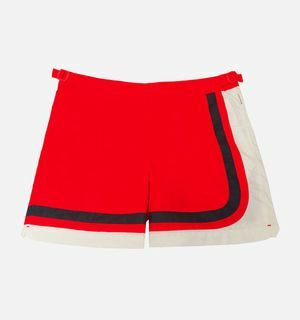 Made in Portugal from polyester, these boldly color-blocked shorts from British designer Orlebar Brown are a real standout amongst the many patterned and one-color swim shorts out there. 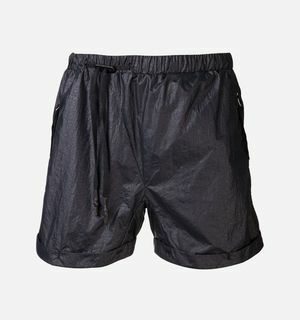 Clean and simple quick-dry shorts, with a handy velcro pocket too. 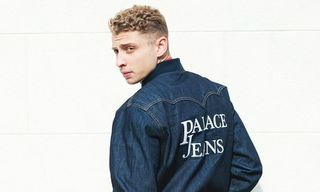 Leave it to the Saturdays NYC crew to combine city chic with Hamptons sophistication. 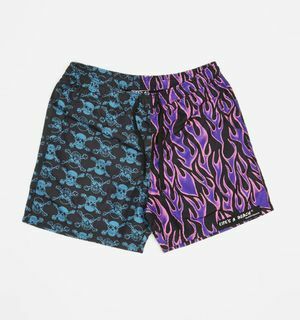 Floral shorts are a beachside classic and iconic Cali label Stussy have you covered with these fruity trunks. 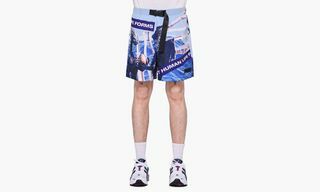 Thom Browne's premium bathing shorts have been dressed in this beautiful floral print, ideal for hitting the beach or wearing with sandals and a tee. 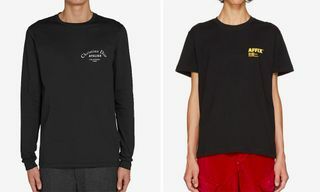 Nothing says laid-back vibes like Polo and nothing says beach like seersucker. 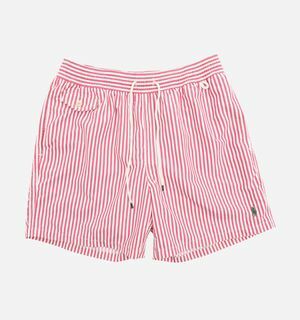 These pink seersucker trunks from Ralph will have you looking breezy on the coast. 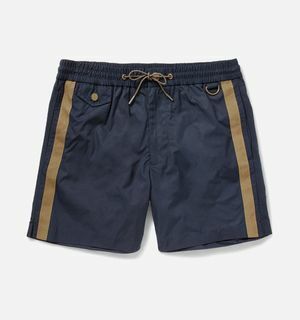 Poly swim shorts from Marc Jacobs' in-house label come with a drawstring, side stripe and handy stud pocket on the wearer's right. 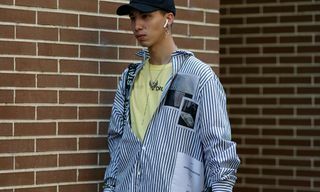 Side-zippered pockets and a drawstring waistband from dark-luxury designer Boris Bildjan Saberi. 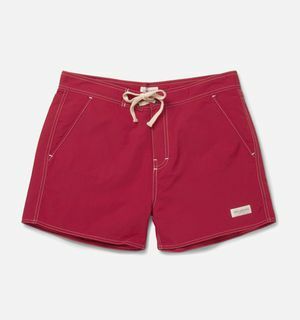 Certainly not cheap, the swim shorts' finish and asymmetrical waistband scream high-end. 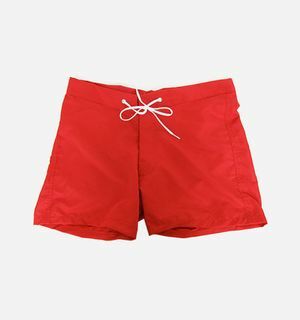 American Apparel's classically designed swim trunks come in a broad spectrum of bright, vibrant colors, ensuring at least one pair for everyone. 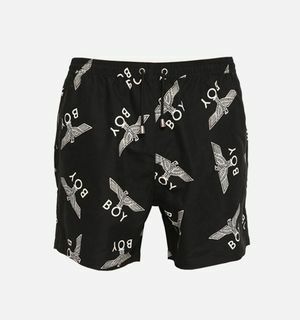 Boy London's bathing shorts come with their signature motif printed all over, in a tight black and white colorway. 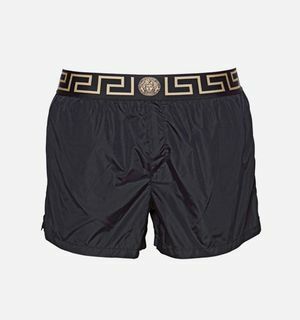 One for the real flagrant dressers out there, Versace's beach shorts come with the fashion house's signature Greek pattern and Medusa motif upon the waist. 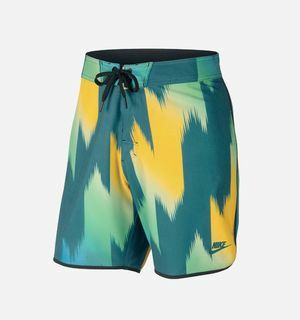 Nike gives a subtle nod to this summer's previous World Cup tournament with the GF Allover Print boardshorts. 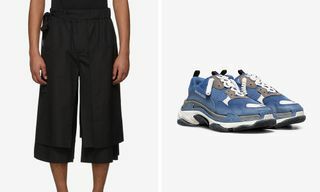 A quick-dry, stretchy fabric makes for one of the most versatile pairs on this list. 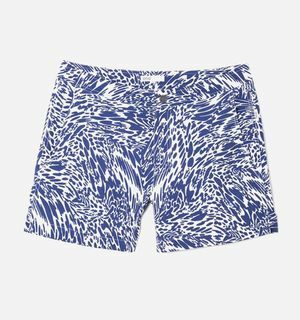 Onia's Calder swim trunk is based on the chino short, with two slanted front pockets, and comes in this handsome wave pattern. 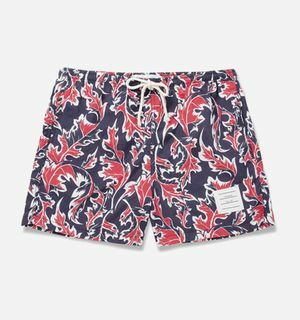 Following on from our previous Beach Essentials guide, we’ve compiled a list of swim shorts that will be perfect for hitting the ocean, lake or pool. 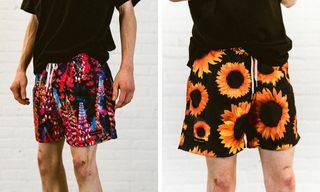 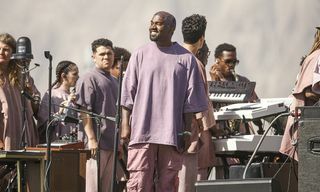 With drawstrings, pockets and easy styling, trunks can also be worn on the street as part of a high-summer outfit of tees (or tank top if you’re feeling adventurous) and sandals.